Beginning the dissection of a record is often the most difficult thing to do when it comes to writing a review. Knowing how to start, to draw in your reader and keep them interested is tough; you know what you want to say, how the record makes you feel and you may even have an insight into the intentions of the artist, however, some records are so painful in their execution that just starting from zero doesn’t seem enough. Bell Witch have always been a band that challenges the perceptions; with their striking demo, a debut that was stark as well as heavy and Four Phantoms’ four piece movement through the elements, this is band who utilise only drums and bass (with a lot of clever trickery) to create sounds that are breath-taking in their minutiae. Mirror Reaper is, by design, a difficult piece of work to adequately review. The album is one sprawling eighty three minute expanse of ultimate sadness that is coloured by the loss of previous drummer Adrian Guerra during its inception. The shadow that Adrian casts is one that is keenly felt throughout and his voice is beautifully used by the current duo to honour not only his life, but his art and the work he put into a band he helped create. It’s that knowledge that lends Mirror Reaper its soul and Bell Witch their stately grace once again. Much has already been made on the fact that Mirror Reaper is one long track, so to talk about songs and how they make you feel is a tricky task. Should we instead talk of it in sections (the CD release is split over two parts and the LP over four)? Should we talk about individual minutes and seconds and the anguish that’s held in the break around 2:39 when the melancholy intro gives way to Dylan Desmond’s bass completely? It’s something that won’t be figured out even by the time the album finishes. It’s pertinent then, to perhaps talk about feelings. How Mirror Reaper feels in itself and the possible emotions that you, as a listener, will experience throughout. It’s hard not to discuss the record in too much of a personal sense as it is monstrous in its depth and the evoked emotions will be subjective to each listener but there is an overarching sense of loss, hopelessness and utter despair. It’s in the funereal pace, the steady pounding of Jesse Shreibman’s drums and the control he has over the strikes, it’s in the woe that pours from guttural roars and the gorgeous sorrow of the echoing bass. Bell Witch have created an incredibly heavy record that is visceral in its despondency, but the music too, is extraordinary at times. Silence is used to buffer the heart and allow breathing room (although a case can be made for this moment to be used as clear track breaks) before the next dominant motion can fade into view. The opposing forces of quiet and loud play off each other throughout the album (26:42 is a triumphant burst of life that will encourage many a heart to break) as well as the clash of life and death and the ways in which those left behind are doomed to question their loss every single day. The warmth of the bass is in stark contrast to the somewhat colder subject matter but the sustained notes and the screams that abound all merge together to create an atmosphere of dread and abject misery. The twenty-nine minute mark signals another shift in the music with heavier elements of the band burning through the darkness. Drums are deliberate and simply struck with Desmond’s bass ringing clearly out of the shadows and bringing a terrific sense of mourning to the proceedings. Vocals again hit the depths and the abyss is reflected in illuminating choral lines that feed into a sublimely sombre riff that echoes in the cavernous halls of the dead. Organ motifs begin to colour the work with ever increasing grandeur while Bell Witch build towards the monolith of death and the finite sense of hopelessness that comes along with that. With thirty minutes left to run, the beautiful clear voice of long-time collaborator Erik Moggridge (Aerial Ruin) is brought to the fore to give another dimension to the record. Where before the vocals have been intense and guttural, showing anger, here Erik brings a change that could be seen as a small piece of hope. It’s a light in the darkness and the music behind is simply structured, it’s a section of the song that allows for clear thinking, for reflections on humanity, ourselves and the ones that we’ve lost. Mirror Reaper is not a record that will be for everyone; but for those it speaks to it will be everything. It’s vast and uncompromising and the artistic choice to run this through as one entire song is one that, for me, works wonderfully. It’s paced beautifully and the tortured soul of the record is powerful in its all-encompassing gaze. 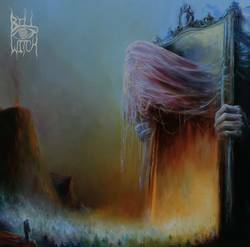 Bell Witch have here a composition that is borne from misery and given life through their ability to speak to the deepest recesses of your psyche. Most of us fear death, losing someone, losing everyone and in Mirror Reaper we are allowed to stare back at that fear and have it embrace us. Oblivion will come for us all and recognising that is exquisitely cathartic. Posted Oct. 23, 2017, 9:18 p.m.
Posted July 5, 2015, 3:42 p.m.
Posted March 10, 2019, 3 p.m.